Congratulations to the Garden City, Kansas, dialysis clinic, DaVita Dialysis. The facility has been a five star facility since the establishment of the star rating system by the Centers for Medicare & Medicaid Services (CMS). The center recently ranked first in the nation (one out of 6,544) for longterm catheter with zero percent catheters in the months of April 2017 and May 2017. The ranking is an amazing accomplishment by Dr. Saliba, the medical director at the center, and the entire team. We are so proud of all involved! 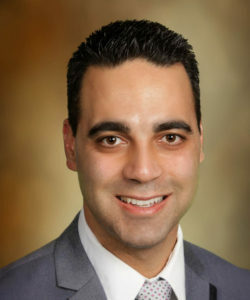 Find out more about Dr. Saliba, or contact a dialysis center.